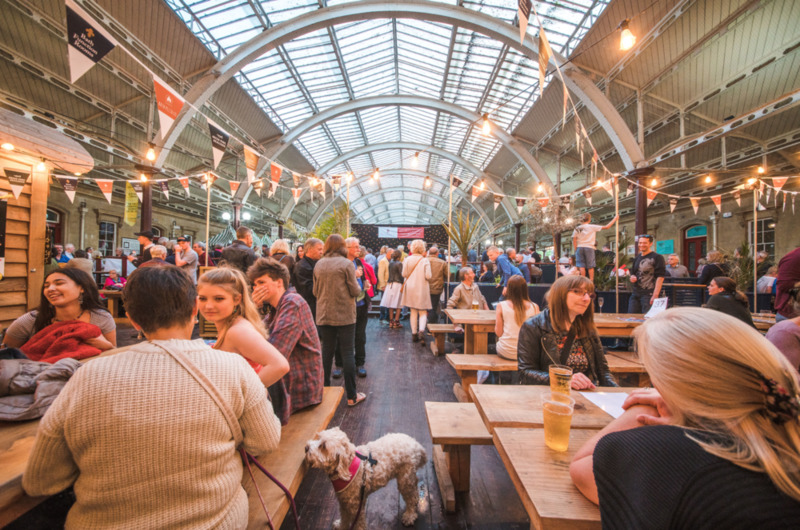 Enjoy wood fired pizza in our stunning alfresco setting at Green Park Station, Bath. Indoor seating available Sunday to Thursday inside Green Park Brasserie. Authenticity, quality & value. We don't buy into the pre-made bases & mass production mantra that the big chains play by. We're proud to support local food producers & farmers to bring awesome wood fired pizza to the people of Bath at a great price. Keep an eye out for our latest special inspired by our friends here at the Bath Farmers' Market. We're a team of chefs & foodies obsessed with creating fantastic food. We've been working in the food industry in Bath and Somerset for over 27 years & opened Bath Pizza Co in April 2016. Customer feedback has been key to our success, let us know how we’re doing on TripAdvisor. Soak up the atmosphere in Green Park Station. Customers are welcome to eat inside at our sibling business Green Park Brasserie* or at out our outdoor seating area . *Unfortunately we are unable to serve pizzas inside the Brasserie on Friday and Saturday evenings. Collect directly from us or give us a shout through Deliveroo. Customers are welcome to phone ahead and order on their way through Green Park Station. We regularly cater for Weddings in Bath at Bath Function Rooms here at Green Park Station. At Bath Function Rooms we also offer a pizza & prosecco menu for business events, informal dinners and buffets. We've run Green Park Brasserie here in Bath since 1992. Over the years we've picked up a few honourable mentions and awards.